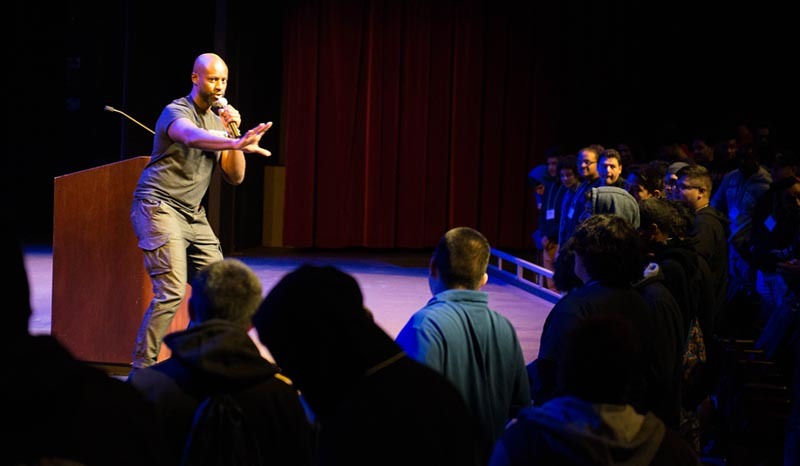 A conference designed to inspire boys and young men of color from local high schools to pursue higher education will draw nearly 1,000 students to Fullerton College for the annual Males Achieving Success (MAS) Conference on January 16. Students will be introduced to college and career options available to them, hear from motivational speakers, and have the opportunity to network with college professors, counselors and presenters. The MAS conference is coordinated by the Office of Educational Partnerships and High School Outreach at Fullerton College and is an extension of the work being done at many local high schools in the Anaheim Union High School District. 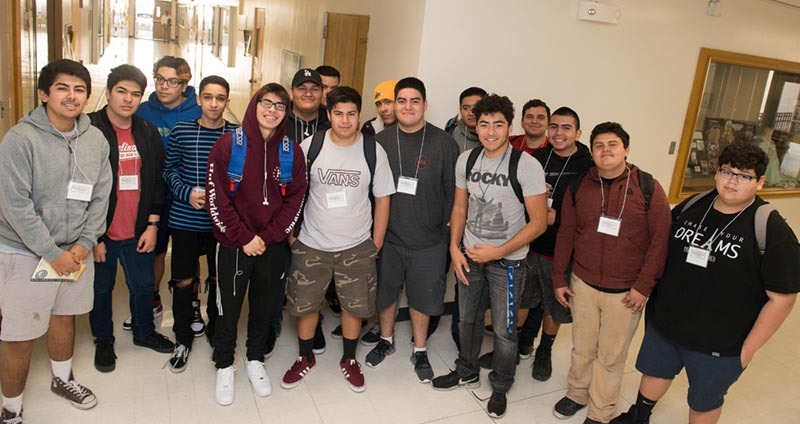 For this conference, the MAS outreach program extended invitations to students throughout multiple high school districts including, Fullerton Joint Union, Garden Grove, Norwalk-La Mirada, Placentia-Yorba Linda and Whittier Union school districts. The conference will feature college and career workshops given by a variety of higher education professionals, Fullerton College faculty and alumni, and individuals from other local colleges and universities. Additionally, a keynote during the conference’s opening program will feature remarks from Santa Ana Police Department Chief David Valentin. Valentin joined the Santa Ana Police Department in 1990 and has worked his way through the ranks from police officer to chief of police. He is the 21st chief of Santa Ana Police Department and has worked all major areas of the Police Department and served as commanding officer of the department’s Special Weapons & Tactics Team (SWAT). He holds a master’s degree from California State University, Fullerton and is a graduate of both the FBI National Academy and the California POST Command College. Among his many accolades as chief of police, Valentin is also a recipient of the Orange County Human Relations Commission 2012 Community Oriented Policing Award and the Award of Merit for Leadership by the California College and University Police Chiefs Association. Workshops offered during the conference will include “Overcoming Obstacles,” “Males in Social Work, Counseling or the Teaching Professions,” “The Lies My Teacher Told Me,” and “Mentoring Latinx Men Matters,” to name a few. “All the workshops are designed to encourage students, promote higher education, career exploration and self-development,” Sanabria said. For more information on the MAS conference contact the Office of Educational Partnerships and High School Outreach at 714-992-7250.